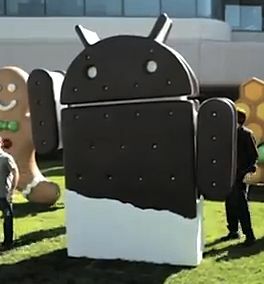 Android 4.0 or other wise known as Android Ice Cream Sandwich is the latest version of Google's Android mobile operating system offering. Various mobile device manufacturing companies are still working towards pushing an Android 4.0 build for their respective devices such as the HTC Ville and the ASUS EeePad Transformer 2. Soon, Android 4.0 Icecream sandwich will be available for laptops as well. The team at Android-x86 has already ported Android 4.0 to the Intel x86 Architecture for use on laptops powered by the Intel Atom processor (ics-x86 branch). And since, Android 4.0 has support for Stylus Input, the ics-x86 can very well be used on tablet-notebooks! The developers at Android-x86 have, in the past, developed fully working ported Android versions for the x86 platform for Android 2.2 Froyo and Android 2.3 Gingerbread. Among the things that are currently supported in the Intel x86 port of Android 4.0.1 Icecream Sandwich are Wi-fi, multitouch, and OpenGL ES Hardware acceleration for AMD Radeon chipsets. However, other features like sound, camera, and ethernet support aren't ready yet. You can download Android 4.0 ICS x86 build for the AMD processor from this link - android-x86.googlecode.com/files/android-x86-4.0-devel-amd_brazos.iso. Other downloads can be checked on this page: android-x86.org/download.